In last year, I started qkview.com which allows you to create and share quick reference guides and cheat-sheets online. The unique feature of this web application is responsive note interface with easy inline input, editing and sharing. It follows Google SEO guidelines for your content. Now it has come to an end. It still runs for some days, but no new features will be added. 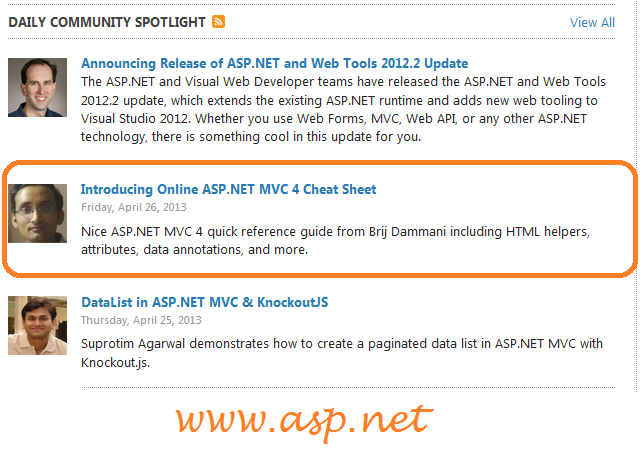 I created ASP.NET MVC 4.0 Cheat sheet which was the most popular cheat sheet and it was featured on official Microsoft ASP.NET Website. I have already moved it on this site. It has more than 550 registered users and more than 50K unique pageviews till now. I am going to limit all my part time technical activities to spend more time with my family and society, I can’t give the enough time to work on it. So I decided to make it open source. To setup code, follow the instructions mentioned in readme.txt file of the code. I thank you for so many blessings and contributions to qkview.com. Now it has come to an end. It is time of open source. It is announced .NET Core will be open source, including the runtime as well as the framework libraries. ASP.NET MVC, Web API are already open source projects. So I would like to add QKView as open source project. Hope It helps. Pull requests are also welcome!